Yesterday was Holocaust Memorial Day and it is very fitting today to spend a little time exploring the life and music of a composer who escaped the Nazis, but not their long-term legacy. 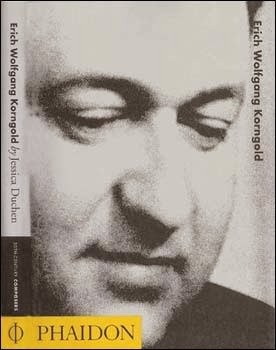 The story of Erich Wolfgang Korngold’s life and his works is not only one of the strangest histories of its type, but also one of the most emblematic of its time. His path took him from an astonishing start as a remarkable child prodigy composer – his talent dumbfounded Richard Strauss, Engelbert Humperdinck and Arthur Nikisch, among many more – to a career in Hollywood sparked by forced exile in the 1930s. There he became one of the founding fathers of film music as an art-form in its own right. Though his legacy involves music of powerful appeal – a lavish late romanticism bearing the influence of Strauss, Mahler, Puccini, early Stravinsky and more – his attempts to rehabilitate his career in the concert hall after 1950 came to little. Korngold never saw any need to stop being himself: he had started out in the era of dying romanticism and burgeoning expressionism, and writing in a way that was not his natural idiom was anathema to him. “Don’t expect apples from an apricot tree,” he once remarked. But such was the resistance in a musical world dominated by atonality and serialism to anything remotely associated with something as tawdry as the cinema that Korngold was cold-shouldered and critically reviled. This, tragically, was the fate of innumerable composers of that time, and not only those who found themselves able to make a living in film music: if they did not evolve according to the latest fashion or the latest party line to toe, they faced an uncertain and miserable future. From Sibelius, who sat in isolation in Finland failing to write more great symphonies, to Prokofiev, who made the mistake of going back to Soviet Russia, to Andrzej Panufnik, who escaped hideous Communist directives about musical style in Poland only to find himself facing a different type of cultural fascism in the west, this era skewed the fate of classical music and its most gifted creators to a degree that we are only just beginning to understand fully today. For decades after Korngold’s death his music virtually vanished from the repertoire – with the occasional exception of his Violin Concerto, which won occasional champions among soloists. In the past 20 years or so, as his story has become better known and recordings of his music featured in the surge of interest in unjustly neglected music and especially that of 20th-century Jewish composers whose works were banned by the Nazis, he has started to win increasing recognition. Several key works have become part of the standard repertoire, including his opera Die tote Stadt and, increasingly, the Symphony in F Sharp – his most important orchestral work, which we hear tonight. It’s interesting to see this upsurge of interest. Nicky Benedetti, who recorded the violin concerto on her CD The Silver Violin and sent Korngold soaring into the pop charts, told me that she thinks Korngold literally went viral. The support for that work has come largely from people who are simply itching to play it! Violinists adore it. It’s so easy these days to hear interesting music online that more and more young soloists, lacking the stylistic prejudices of the past, have come across it and want to play it. I’ve even been able to do a Radio 3 Building A Library on it, because there are now more than 20 recordings in existence. I hope that the same may be starting to happen for the Symphony, which you may remember was heard at the Proms last summer. I started researching my biography of Korngold back in 1993. I was lucky to have heard of him at all. An American musicologist friend of mine had been scandalised when I said “Korngold? Who’s he?” and promptly played me the Pierrot Tanzlied from Die tote Stadt. I loved it so much that I ran out and bought the LPs of the whole opera, then cried all the way through, so amazed was I that such fabulous music was lying around unknown. I’ve always loved his music for its overwhelmingly generous and positive spirit, its melodic richness, its strength of personality and everything it represents about the lost world it sprang from. Ths music’s energy, sweetness, exuberance and greatness of heart does represent Korngold’s own personality; he loved his food and had a sweet tooth, and he was also an exceptionally generous man. In fact, during the Second World War when he was in America, he signed so many affidavits vouching support for fellow refugee immigrants from Europe that eventually the authorities stopped accepting his signature! I’m fascinated by his life story, which saw him bridge what you’d have thought would be a massive gulf between Mahler and Errol Flynn. Back in 1993, you hardly ever heard his music. Those who remembered him did so almost solely for his role in the film world. There, his influence was simply towering. For example, you can hear it echoed very directly in the works of John Williams, including Star Wars, Jurassic Park and even Harry Potter. Elsewhere, though, he was deeply out of fashion. I was truly shocked by some of the patronising, sometimes cruel responses I received when I mentioned his name and even dared to praise his music. This still happens. When the London Philharmonic performed his biggest opera Das Wunder der Heliane on the 50th anniversary of his death a few years ago, one critic declared that the Nazis were right to ban it because it was "degenerate". Yes, actually condemning the work of an exile from the Nazis with Nazi terminology in the year 2007. Korngold was born in 1897, in Brno, now the Czech Republic. His family moved to Vienna when he was four years old, when his music critic father, Julius Korngold, was appointed to a position on the influential newspaper Die neue freie Presse, where his boss was the notoriously crotchety critic Eduard Hanslick. Julius modelled himself very much after Hanslick, and espoused similar, very conservative views. Brahms was a friend; Mahler was adulated; Strauss was criticised; the Second Viennese School was The Enemy. When Hanslick died, Julius got his job, becoming the most powerful music critic in the city that was the centre of the musical world. Today concert reviews are lucky to get into a newspaper at all, certainly in this country, but a hundred years ago music was so significant a force in Viennese life that Julius’s reviews were often plastered across the front page and ran on into the second, third and sometimes the fourth pages too. So he was not just any old critic. And the appositely named Erich Wolfgang was not just a talented child. He was one the most extraordinary composing prodigies who ever lived, certainly the best since Mendelssohn. Julius’s musical connections were valuable in securing a fine start for him: aged nine, Erich played to Mahler, who declared him a genius and advised Julius to send him to Zemlinsky for lessons. Wolfgang Amadeus Mozart’s childhood works aren’t often very interesting and Mendelssohn was sixteen before he wrote his Octet. But Korngold was writing highly sophisticated full-length works by the time he was 12. The New York Times critic heard his Opus 1 Piano Trio and was outraged: he wrote, “If we had a little boy of twelve who preferred writing this sort of music to hearing a good folk tune or going out and playing in the park, we should consult a specialist”. As little Korngold made the headlines, Julius’s opinionated stances won many enemies, and sometimes sparked scandals that rebounded against the unfortunate wunderkind. Some people accused the father of praising only those musicians who performed his son’s works. Others accused Julius of writing the pieces himself – to which Julius pithily retorted, “If I could write such music, I would not be a critic.” What was certain, though, was that Julius’s deeply conservative musical outlook largely formed Erich’s own artistic persona; he squashed as hard as he could all of Erich’s early inclinations towards the avant-garde and tried particularly hard to keep him away from Schoenberg and co.
Korngold spent the interwar years increasingly preoccupied with stage works. His most successful opera, Die tote Stadt, was begun during the first world war and captures much of the aching nostalgia and sorrow of the time. He followed that with an even more ambitious score, Das Wunder der Heliane, which is so demanding of its soloists and involves such as massive orchestra and has such a convoluted story that performances of it, I fear, will remain few and far between. But to earn a crust, having lost all his savings in the inflation that followed the first world war, Korngold took a job arranging and conducting operettas at the Theater an der Wien, and this was how he met the great theatre director Max Reinhardt, who became a great friend. When the Nazis came to power Reinhardt quickly left Germany for America and it was on his invitation that Korngold first went to Hollywood to arrange Mendelssohn’s music for a massive new film of A Midsummer Night’s Dream. As a craftsman he proved highly adaptable, and when Warner Brothers realised he was perfect for them and offered him an extremely generous contract, he proved he had an extraordinary instinct for the correlation of music, drama and timing. This enabled him to compose his film scores by improvising at the piano while a patient projectionist ran the finished film for him time and again, often overnight. For a few years he commuted between Vienna and California, but he was lucky enough to be in Hollywood scoring The Adventures of Robin Hood when Hitler annexed Austria in March 1938. The relationship between Korngold’s film music and his concert works looks to us more complicated than it should. To Korngold himself, it was simple. “Music is music,” he said, “whether it is for the stage, rostrum or cinema. Form may change, the manner of writing may vary, but the composer needs to make no concessions whatever to what he conceives to be his own musical ideology.” So while critics carped that his concert works were full of film music, in fact the reverse was also true; and the whole picture was a delicious hotpot. Korngold kept notebooks in which he would scribble down musical ideas for future reference; therefore a theme that appears in film guise might have pre-existed many years earlier in a Vienna sketch intended for a concerto or symphonic piece. The composer soon twigged that when films disappeared from the cinema, so did his scores; his contract –unusually for Hollywood – allowed him to use his film music in other contexts, and - like Vivaldi and Handel long before him - he became an enthusiastic recycler. The Symphony in F sharp first began to germinate in 1947, soon after the premiere by Jascha Heifetz of the Violin Concerto. After the war, also after the death of his father, Korngold decided to leave the film studio and attempt a comeback in the concert and opera world. He was 50 that year. “Fifty is old for a child prodigy,” he remarked; he felt had to make that move now or never. Besides, he was cheesed off with Hollywood and its cheesiness; his later scores were attached to films that were not good enough for the music he wrote them. He was famous for his dry wit, and when a journalist asked him why he was leaving, he responded: “When I first came to Hollywood, I could not understand the dialogue. Now I can.” He may have felt extra urgency because that spring, he had began to suffer heart problems. For his health, he agreed to take a short holiday in Canada. The spectacular scenery seems to have inspired him into starting the symphony; work on it, however, had to be put off when he suffered a full blown heart attack that September. Once he had recovered, he decided, first, to try and go back to Vienna for the first time since 1938. The experience was not happy. The destruction of the Vienna State Opera House, the fight to get back his house (which had been taken over by the Nazis after the Anschluss) and the death of Richard Strauss all moved him deeply and left him sensing the rapid passing of time and the almost unrecognisable nature of the postwar world. The long-delayed premiere in Vienna of his 1938 opera Die Kathrin was a flop with the critics. And generally he felt less than welcome: the words “Ah Korngold, you’re back,” were sometimes followed by, “When are you leaving?” Gradually it’s been emerging that many ex-Nazis went on to hold important positions in postwar administrations, not least in Vienna and its cultural echelons. If Korngold could find no foothold, this may be no coincidence. Eventually in 1951 Korngold resigned himself to a return to the States. Back in his Toluca Lake home, he threw himself into writing the much-postponed symphony, completing it the following year and scoring it for an orchestra of much-expanded capacity, including a hefty percussion section involving piano, celesta and marimba. Describing the work in the third person, he wrote: “The composer characterizes his new symphony as a work of pure, absolute music with no program whatsoever, in spite of his experience that many people – after the first hearing – read into the first movement the terror and horrors of the years 1933-1945, and into the Adagio the sorrows and suffering of the victims of that time.” Nevertheless, that has never stopped anyone from feeling that the sometimes funereal slow movement might be effectively a threnody for the victims of the Nazi era. The work’s dedication makes grateful reference to the memory of Franklin Delano Roosevelt, president of the USA at the time that Korngold had taken US citizenship. Whether or not Korngold conceived it as a mourning for a lost world, the piece could hardly fail to be marked by his state of mind, which was of course deeply affected by everything he had been through and continued to go through. The Symphony’s structure is the classic four-movement format with opening sonata form allegro, scherzo and trio, adagio and finale. Its somewhat unwieldy key of F sharp happens to have been Korngold’s personal favourite, but he does not specify whether it is F sharp major or F sharp minor – and the music in that respect is often ambiguous. This isn’t the first time Korngold went for such ambiguity – his Piano Concerto for the Left Hand, written for Paul Wittgenstein as Ravel’s was, around 1925, was in C sharp, neither major nor minor. While the work’s atmosphere seems to contain much of Korngold’s bitterness, much of the material has origins quite distant from this time. The main theme of the first movement –stated by the clarinet with terse accompaniment and featuring a distinctive rising seventh - turned out to have been conceived as early as 1919. If you listen to the opening, you can tell it’s not all that far from the Vienna of, for instance, Alban Berg. The second subject is an old idea as well – it’s based on a melody he had written around the same time for a close friend whose home, a villa named ‘La Lirodou’, he had made the subject of a wordplay. In his prodigy days he invented a personal musical signature which he called "the motif of the cheerful heart". In the Symphony it is upside down, introducing this second subject on the flute. After that comes the scherzo, fleet-footed and brimming over with colourful effects on percussion and horns. It is, however, in the Adagio that the spectre of Korngold’s film music appears in earnest: the heavy-hearted main theme, sounding within a cushion of string tone, is a vital theme in the film score The Private Lives of Elizabeth and Essex, in which Bette Davis, as Queen Elizabeth I, must condemn her beloved Earl of Essex to execution. Further themes in the movement are based on ideas that appeared in two further scores, Captain Blood and Anthony Adverse. Korngold termed the movement’s end an ‘ecstatic Abgesang’ (farewell). When Essex is condemned to death, that theme acquires a new guise altogether. And it sounds very much like the start of our Symphony’s adagio, the heart of the whole work (you can hear it at the start of this post). It’s perhaps the most tragic music Korngold ever composed and critics who like Bruckner more than I do have compared it favourably to his great symphonic adagios; for example, the way the basic thematic material is very simple, yet the composer builds it up into something vastly bigger than the sum of its parts. In the final movement Korngold attempts to assert optimism and a bit of cyclic fun with themes from earlier in the work – but I can’t help feeling there’s a hollowness lurking behind the lot after he’s shown us the depths of his heart in the adagio. Korngold’s optimism, his "cheerful heart" and his prodigious gifts brought him little joy later in life: the twin blows of exile and artistic rejection proved hard to withstand. He died in Hollywood, a very disappointed man, at the age of only 60, feeling – as his son told me – as if his child prodigy days had all happened to somebody else. Today, with the benefit of hindsight, we must assess for ourselves whether or not he was right. In the meantime, the Symphony is gradually becoming, at long last, a force to be reckoned with on concert platforms around the world. I hope you love it as much as I do. Enjoy the concert and thank you for listening. I have a little news. As from Monday, I am taking over the editorship of The Amati Magazine, the online magazine of the stringed instrument auction site Amati.com. We are hatching exciting plans to build it up into a valuable resource for music-lovers, musicians amateur and professional, and everyone with an interest in any aspect of the the stringed instrument world - and we will be kicking off with a major star interview over a little fine food. Watch this space: I'll put up a link on Monday. You can also "like" The Amati Magazine's Facebook page, for regular updates. And we will no doubt be tweeting a lot. I'll be carrying on with everything else I usually do, meanwhile. Cheers to another British conductor, Jonathan Nott, incidentally: he's won a ballot by a rare unanimous vote, we're told, to become music director of the Suisse Romande Orchestra. It's Mozart's birthday. I'm on a bit of a Mozart high at present - doing a talk about him last night at the Wigmore Hall has left me a bit tearful and giddy and lovestruck, even though this is music I've known for more than four decades. It's so easy to take him for granted. We shouldn't. He's a miracle. And for those of you who were at the Wigmore last night - the more I think about it, the more I really believe that he was indeed the first Romantic. Here's the great tenor aria from Die Zauberflöte, sung in 1965 with piano accompaniment by Fritz Wunderlich. Please note: orchestras haven't actually got tax relief yet. But a government consultation is beginning to explore the proposal. Here is the Incorporated Society of Musicians' latest statement on the matter, pointing out some small print that needs a little attention. Professional musicians have welcomed the Government’s consultation on a proposed tax relief for orchestras. The consultation proposes a tax relief for orchestras which will be welcome news in the orchestral and composing communities, matching tax reliefs already in place for theatre productions and benefitting the UK’s orchestras. The ISM – the professional body for musicians – has been supporting the efforts of the Association of British Orchestras (ABO) in securing this tax relief. · The current proposals rule out many smaller orchestras and chamber groups consisting of fewer than 14 performers. · The consultation also proposes excluding instrument specific groups (such as brass bands and wind bands) insisting that only orchestras made up of strings, woodwind, brass and percussion will qualify for the tax relief. To qualify, the majority of performances for which relief is being claimed must be played by a musical ensemble consisting of 14 or more performers and must include players drawn from each of the following four sections: string instruments, woodwind instruments, brass instruments and percussion instruments. 4. The Chancellor George Osborne first announced that tax breaks will be extended across the creative industries to include orchestras in his Autumn Statement in December 2014. Tomorrow (24th) I am at the Richmondshire Subscription Concerts in North Yorkshire for a welcome reunion with Bradley Creswick (violin) and Margaret Fingerhut (piano) in Hungarian Dances, the Concert of the Novel. 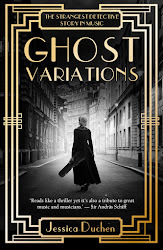 Do come along for Gypsy-style virtuoso thrills, gorgeous repertoire and a roller-coaster narrative from the book. Here's the link: http://rsconcerts.org. It's been drawn to my attention that the scandal of the Library of Birmingham - a fabulous new building which the city has opened, only to find it cannot now afford to keep it open more than 40 hours a week - extends to the likely imminent closure of the Birmingham Music Library, a major, award-winning, invaluable resource for professionals, students and community alike. Please read the communication below, which I reproduce as received, and take whatever action you are able. About 100 of the Library's 188 staff will go as opening hours are cut from 73 to 40 hours per week and other services for the public are stopped. The Director of the Library has resigned, and if these proposed changes go ahead, business, learning, music and archive services will cease - there will no longer be a Music Library in Birmingham, run by specialist staff with relevant subject knowledge. Besides the millions of individuals who use the library for their own purposes, there are many hundreds of choirs, orchestras, amateur and professional groups who cannot operate without the services of the Music Library to supply the scores and parts which are essential for their public performances. The impact on performers and the public will be severe. Some groups will not survive. The news of the cuts was announced on the day Malala Yousafzai was awarded the Nobel Peace prize, the Pakistani teenager who led the Library of Birminghams opening ceremony, announcing Pens and books are weapons against terrorism and that a city without a library is a graveyard. The short-sightedness of these cuts, and the irrevocable damage it will do, needs to be fought urgently. On the national as well as local stage. But I think the more national media cover the better...where is the Secretary of State for Libraries in all of this? I hope you will feel able to help. I put 10 Questions to Benjamin Grosvenor for The Arts Desk ahead of his recitals this week in Birmingham Town Hall (tonight), Oxford's St John the Evangelist (tomorrow) and the Barbican (his recital debut there, on Friday). Here the brightest of young British pianists, from Southend-on-Sea, tells us why he loves historical recordings, why he enjoys playing Baroque music on the piano and why the "gladiatorial combat" of international competitions is just not for him. Read it here (£). 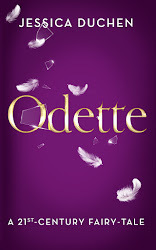 More info and links to book for the various concerts are at Grosvenor's website, here. Sick as the proverbial parrot this morning because yesterday a friend offered me a ticket for the first night of Andrea Chénier at Covent Garden tonight - and I can't go. And they're in short supply, to put it mildly. In this all-too-rare opera, Jonas Kaufmann stars as a poet during the French Revolution who takes up his pen against hypocrisy - and is killed for it. Sound familiar? Anyone who continues to worry about the "relevance" of opera need look no further. For those of us who can't get into the real thing, there is a cinecast on 29 Jan. 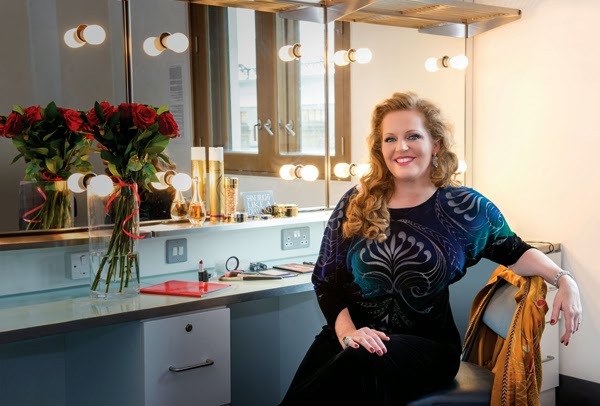 Meanwhile, you might enjoy reading my interview with the fabulous Eva-Maria Westbroek, who sings the role of Chénier's beloved Maddalena, in the January issue of Opera News. Follow the link here. Sir Simon Rattle is 60 today. He's on his way over to London for a major residency and a slew of celebratory programmes on BBC TV(!) and Radio 3 next month. The fuss and the heat is growing by the day - but we still don't know if he's definitely taking the LSO job. Never mind; this film shows him conducting SIX school orchestras in Berlin. Which is exactly the sort of leadership we need here. With politicians calling for more diversity in the arts, yet simultaneously making the cost of music (and theatre) education so high that only the privileged can afford to train unless the good fortune of a rare full scholarship comes their way - where's the joined-up thinking, chaps? - a terrific celebrity maestro of this magnitude could potentially make a major difference to the state of the art, not just in his musicianship, but also as advocate, figurehead, role model and inspiration for all. Who is the Johnny Depp of classical music? Some would say it's Jonas Kaufmann. Others suggest that my lovely Hungarian Dances violinist colleague, David Le Page, bears a certain resemblance to the film star. ...our very own Gabriel Fauré. I'm officially on holiday - a long way off, somewhere hot and sunny that involves hammocks, trees and the sound of the sea. But there's WiFi, so I can still offer you, belatedly, some impressions of the two gentlemen above, whom I was fortunate to hear at Wigmore Hall last Sunday, at an extremely welcome last minute. Yes, Der Jonas was back in our top Lieder hall, and there are few finer places in which to appreciate his remarkable qualities at close quarters, within a warm acoustic magnifying glass. Here, even from the back row, the ambience and sound quality are intimate enough to let us hear a degree of nuance that might not come over to the same extent in a larger, more impersonal space. An all-Schumann first half from two highly sophisticated German musicians could scarcely be bettered. First of all, the partnership between Kaufmann and Deutsch - Jonas's Lieder Svengali - is something quite exceptional. The voice and the piano are so attuned to one another as to fuse into an indivisible sound, just as an orchestra at its best becomes a single entity. To call Deutsch an accompanist would be not just invidious, but unthinkable. They opened with five of the too-rarely heard Kerner Lieder, topped by 'Stille Tränen' - one of Schumann's most devastating songs, laden with the burdens of depression and intense longing, to say nothing of the glories of its melody. Kaufmann built up to this song as the climax it needs to be - and can hardly help being, given its quality - and unleashed the full power of his exceptional dynamic control. Some musicians' sounds, whether they are singers, violinists, pianists or anything else, strike us at what certain New Age types would call the Chakra points. The vibrations might strike us primarily at the top of the head, between the eyebrows, around the solar plexus, clean in the stomach or guts, and probably one or two other spots as well - but whichever is the case, it becomes irresistible, setting off goose-bumps in some cases, tears in others, or simply the sense of rising far from everyday predictability into something rare, more sensitive, more extraordinary, that carries us with it to some measure of the beyond. Suffice it to say that this song did that. Dichterliebe - the ultimate Schumann cycle, to many - is a work much maligned and misinterpreted, despite its phenomenal beauty and the perfectionism of its writing. This is not Schubert; far from the innocence and tragedy of Die schöne Müllerin and the desperation of Winterreise, this is Schumann's take on a love story - won, then lost - as portrayed by the poet Heinrich Heine, master of double-edged irony. Some suggest, oddly, that Schumann ignored Heine's detachment and cynicism. Yet the composer was a highly literary individual, one as adept (or nearly) with words as he was with music, constantly inspired by the poetry and novels of German romanticism at its peak. Kaufmann and Deutsch's Dichterliebe was as much Heine as it was Schumann; Kaufmann's gifts as storyteller were to the fore, backed by the refulgent tones of Deutsch's pianism; this was delicate, close-sketched life-drawing, leaving an emotional impact as subtle as the poet deserves - not head-butting indulgence, but something far more nuanced and colourful. After the interval came the Wagner Wesendonck Lieder, Kaufmann bringing to the world of solo song the composer with whom he is perhaps most strongly associated. Studies for Tristan? If the third and fifth songs are indeed, Kaufmann will (hopefully) be a Tristan to be reckoned with if/when he gets round to singing the role. For the time being, this was a Wagner incarnation as rare and insightful as the Dichterliebe was to Schumann: a fresh, convincing and unexpected take that made complete musical and poetic sense. These songs, usually larger than life with a mezzo and an orchestra, became intimate and transparent, but in a world of their own, distinct from the Schumann; Kaufmann's perfect Siegmund tone shone at its steel-and-caramel best. For Liszt's three Petrarch Sonnet settings - oddly, better known in their solo piano versions - Kaufmann turned Italian. Like a religious convert who becomes more zealous than those born into a faith, he can sometimes seem more Italian than the Italians. The sound of the words becomes not only the inspiration for the music - instead, the words are the music, the latter simply a manifestation of a soundworld that is already there in Petrarch's dazzling love poems. If Dichterliebe was a set of keenly observed charcoal sketches, the Sonnets were as gigantic and perfectly wrought as Michelangelo sculptures. Petrarch gives his all in these poems, Liszt follows suit and Kaufmann and Deutsch delivered in kind. One encore - Schumann's 'Mondnacht' - quietened down to an exquisitely controlled, half-lit cantilena in which - as often through the evening - you couldn't help wondering when he manages to breathe. Most Jonas concerts involve a substantial quantity of encores, but this one didn't. Whether that was because it was a huge programme and he is saving himself for the small matter of Andrea Chénier rehearsals at the ROH, or because the audience mostly didn't stand up, then started to make its way out while he was taking curtain calls, is hard to say. The Wigmore is the finest concert hall in London by a long chalk, but it is a notoriously difficult place in which to get up and yell and cheer, which is what we'd have liked to do and which is what this performance deserved. Not wishing to embarrass my colleagues in Critics' Corner, I resisted the temptation. What a pity one feels one has to. I've seen a place as staid as Vienna's Musikverein go totally, utterly bananas over a Jonas-and-Helmut recital and the fact that that didn't happen in London says more about us than it does about them. This took place in London in tribute to the Paris murders of the Charlie Hebdo journalists and artists. I am away, but feel there in spirit. Watch the complete Barber Adagio played by 150 musicians in Trafalgar Square via the Classic FM link above. My interview with theatre designer Tom Piper from yesterday's Independent. The man behind the Poppies at the Tower is now doing Monteverdi's Orfeo at Covent Garden/The Roundhouse, but he had quite a few things to say about commemorations, crowds and critics. It made the News page. Sinfini has just released this gorgeous video of Benjamin Grosvenor, that golden boy of British pianists, playing Granados's 'The Maiden and the Nightingale'. This piece is a big favourite of mine thanks to its presence in the Alicia's Gift concert; it used to be a staple recital item, but fell oddly out of favour somewhere between the early 1980s and wherever we are now. Lovely to see it coming back. Enjoy. Over at Sinfini, I've provided an introduction to Benjamin, the piece and the performance, which took place at Leighton House. I'm doing a pre-concert talk at the Wigmore Hall on 26 January about three of Mozart's greatest string quartets, the last half of the six he dedicated to Haydn, which the Hagen Quartet will be performing that night. I've been swotting. And it's heaven. If you listen to only one piece today, make it this: the slow movement of the C major Quartet K465, the 'Dissonance'. Here's the Ebène Quartet playing it. I find it deeply saddening that there are thousands, millions, of people in western 'democracies' who will go through their entire lives without hearing music of such phenomenal beauty because they've been taught to imagine that it is 'not for them'. If you have never heard this piece before, I hope your day is lit from within by it. And if you know it well - likewise. Then please sit one person down and get them to listen to it too. 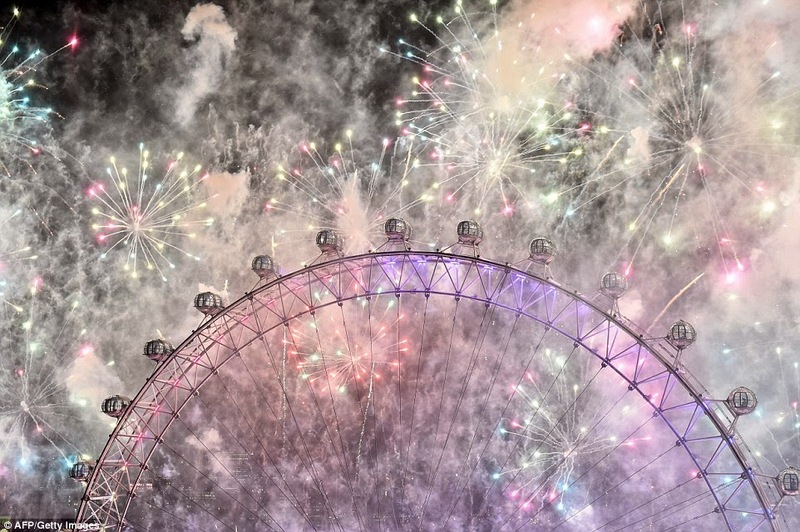 A very happy new year 2015 to all our readers and friends everywhere in the world!